See the archaeological remains of Caesarea. 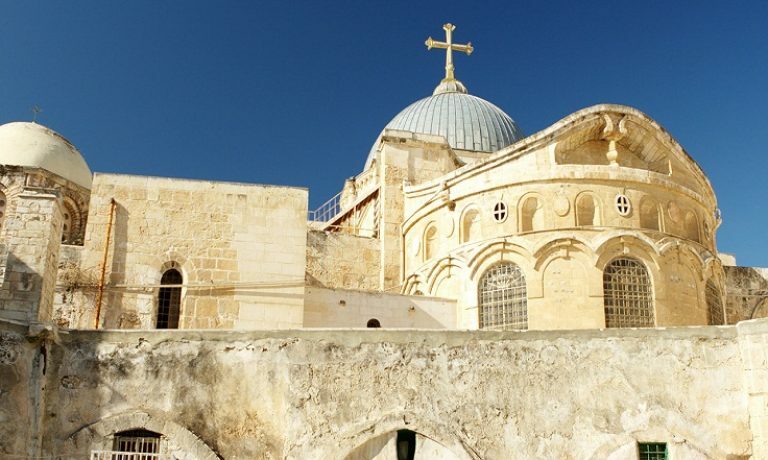 Visit the Carmelite monastery Stella Maris, the Church of St. Joseph, and Mary's Well (the site of the Annunciation). Enjoy dinner in Tiberias. 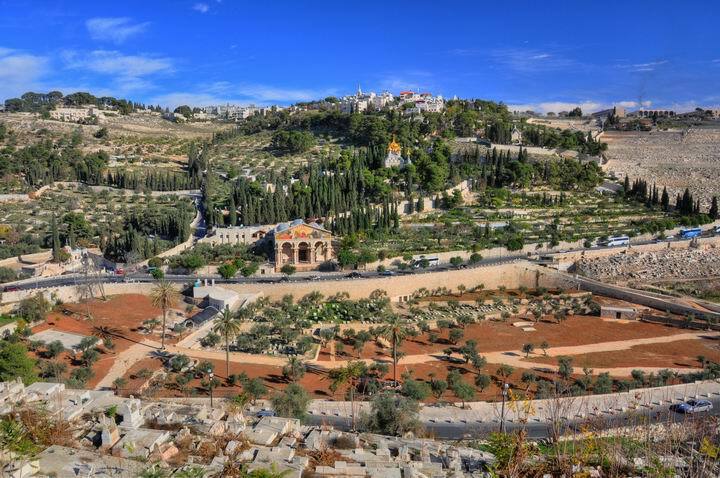 Celebrate Mass at Mount Tabor (the site of the Transfiguration), drive down to Jericho, and visit Jesus' baptismal site in the Jordan River. Travel to Jerusalem for dinner and overnight. 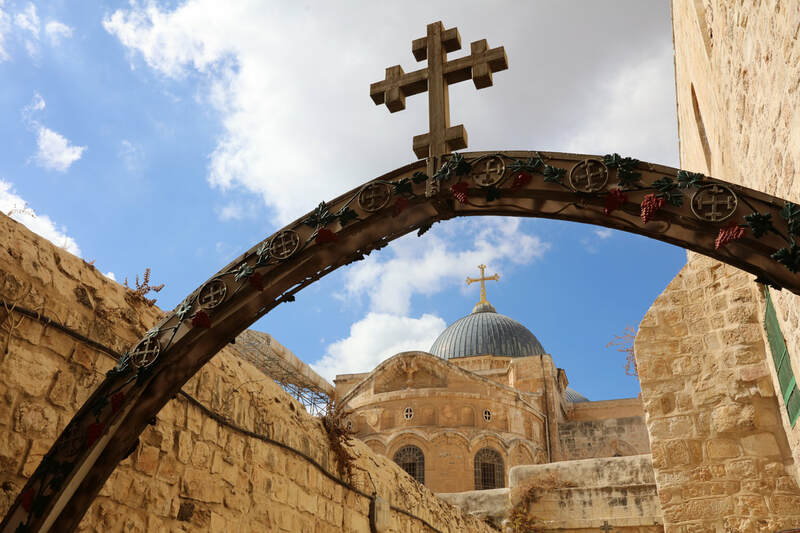 ​Follow the Via Dolorosa (Way of Grief). 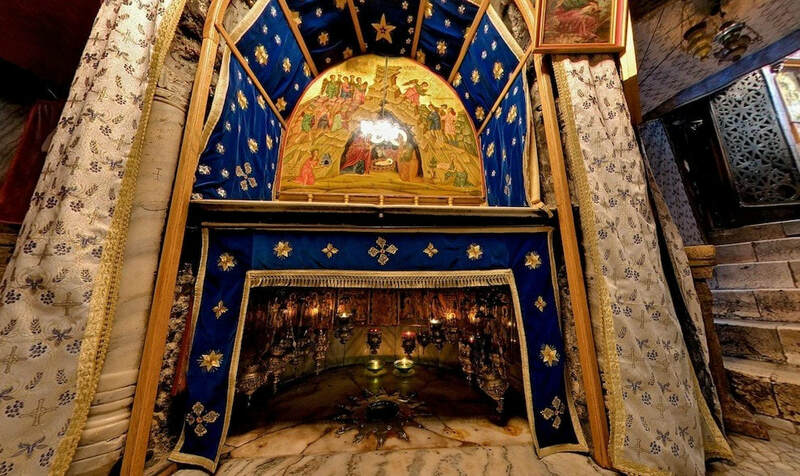 Celebrate Mass at the Church of the Holy Sepulchre, which marks the site of the Crucifixion, and Jesus' tomb. 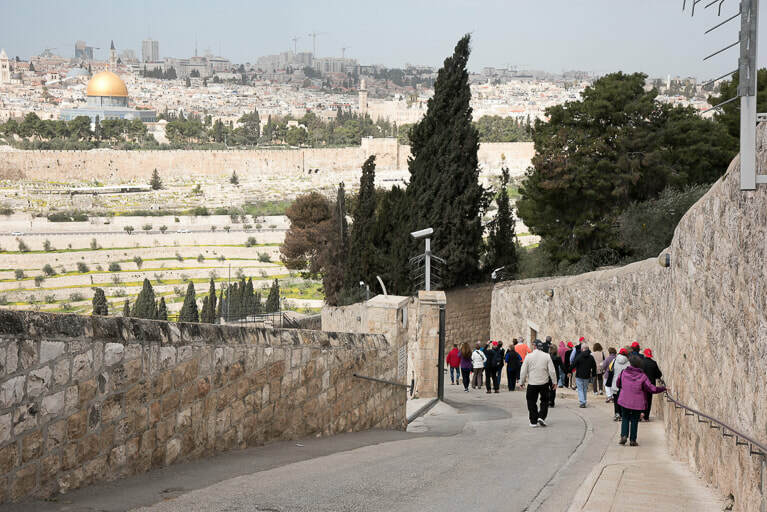 Explore the Old City of Jerusalem. Wish everyone "shalom," and revel in the memories as the bus transports you to the airport for your flight home. PLEASE NOTE: There are a limited number of spots available. Please register as soon as possible to secure your spot. The total fee is $3,795 per person/double occupancy. There is a small number of single rooms available for an extra cost of $700, totaling in a total fee in $4,495. Your reservation is secured only with receipt of your $300 deposit. Deposits are due 7 days after registration. We also accept Credit/Debit card payments (4.5% service fee). If you wish to pay with a card, we will send you an invoice via email with detailed instructions on how to pay through PayPal. There is no deadline to register, but please don't delay, the limited spots are expected to fill up fast. The final payment of $3,495 is due August 18, 2018.